The regions, formerly known as the government office regions, are the highest tier of sub-national division in England. Between 1994 and 2011, nine regions had officially devolved functions within government. While they no longer fulfill this role, they continue to be used for statistical and some administrative purposes. They define areas (constituencies) for the purposes of elections to the European Parliament. Eurostat also uses them to demarcate first level Nomenclature of Territorial Units for Statistics (NUTS) regions ("NUTS 1 regions") within the European Union. The regions generally follow the boundaries of the former standard regions, established in the 1940s for statistical purposes. The London region has a directly elected Mayor and Assembly. Six regions have local authority leaders' boards to assist with correlating the headline policies of local authorities. The remaining two regions no longer have any administrative functions, having abolished their regional local authority leaders' boards. In 1998, regional chambers were established in the eight regions outside London, which produced strategic plans and recommendations to local authorities. The regions also had an associated (central) Government Office with some responsibility for coordinating policy, and, from 2007, a part-time regional minister within the Government. House of Commons regional Select Committees were established in 2009. However, the chambers and select committees were abolished in May 2010, restoring these functions to the main tier of local government, with limited functions transferred to the regional local authority leaders' boards created in 2009. Regional ministers were not reappointed by the incoming Coalition Government, and the Government Offices were abolished in 2011. From 2011, combined authorities have been introduced in some city regions, with similar responsibilities to the former regional chambers (and in some cases, replacing a regional local authority leaders' board on a smaller scale), but which also receive additional delegated functions from central government relating to transport and economic policy. Regional development agencies were public bodies established in all nine regions in 1998 to promote economic development. They had certain delegated functions, including administering European Union regional development funds, and received funding from the central government as well. These were abolished in 2012, with statutory functions returning to local authorities and central government, however smaller scale local enterprise partnerships were voluntarily established to take on some functions relating to coordinating economic priorities and development. After about 500 AD, England comprised seven Anglo-Saxon territories – Northumbria, Mercia, East Anglia, Essex, Kent, Sussex and Wessex – often referred to as the heptarchy. The boundaries of some of these, which later unified as the Kingdom of England, roughly coincide with those of modern regions. During Oliver Cromwell's Protectorate in the 1650s, the rule of the Major-Generals created 10 regions in England and Wales of similar size to the modern regions. Proposals for administrative regions within England were mooted by the British government prior to the First World War. In 1912 the Third Home Rule Bill was passing through parliament. The Bill was expected to introduce a devolved parliament for Ireland, and as a consequence calls were made for similar structures to be introduced in Great Britain or "Home Rule All Round". On 12 September the First Lord of the Admiralty, Winston Churchill, gave a speech in which he proposed 10 or 12 regional parliaments for the United Kingdom. Within England, he suggested that London, Lancashire, Yorkshire, and the Midlands would make natural regions. While the creation of regional parliaments never became official policy, it was for a while widely anticipated and various schemes for dividing England devised. By the 1930s, several competing systems of regions were adopted by central government for such purposes as census of population, agriculture, electricity supply, civil defence and the regulation of road traffic. In 1946 nine "standard regions" were set up, in which central government bodies, statutory undertakings and regional bodies were expected to cooperate. However, these had declined in importance by the late 1950s. Creation of some form of provinces or regions for England was an intermittent theme of post-Second World War British governments. The Redcliffe-Maud Report proposed the creation of eight provinces in England, which would see power devolved from central government. Edward Heath's administration in the 1970s did not create a regional structure in the Local Government Act 1972, waiting for the Royal Commission on the Constitution, after which government efforts were concentrated on a constitutional settlement in Scotland and Wales for the rest of the decade. In England, the majority of the Commission "suggested regional coordinating and advisory councils for England, consisting largely of indirectly elected representatives of local authorities and operating along the lines of the Welsh advisory council". One-fifth of the advisory councils would be nominees from central government. The boundaries suggested were the "eight now [in 1973] existing for economic planning purposes, modified to make boundaries to conform with the new county structure". A minority report by Lord Crowther-Hunt and Alan T. Peacock suggested instead seven regional assemblies and governments within Great Britain (five within England), which would take over substantial amounts of the central government. Some elements of regional development and economic planning began to be established in England from the mid-1960s onwards. In most of the standard regions, Economic Planning Councils and Boards were set up, comprising appointed members from local authorities, business, trade unions and universities, and in the early 1970s these produced a number of regional and sub-regional planning studies. These institutions continued to operate until they were abolished by the incoming Conservative government in 1979. However, by the mid-1980s local authorities in most regions had jointly established standing conferences to consider regional planning issues. Regional initiatives were bolstered by the 1986 Government Green Paper and 1989 White Paper on The Future of Development Plans, which proposed the introduction of strong regional guidance within the planning system, and by the Government's issuing of Strategic Guidance at a regional level, from 1986 onwards. In April 1994, the John Major ministry created a set of ten Government Office Regions for England. Prior to 1994, although various central government departments had different regional offices, the regions they used tended to be different and ad hoc. The stated purpose was as a way of co-ordinating the various regional offices more effectively: they initially involved the Department of Trade and Industry, Department of Employment, Department of Transport and the Department for the Environment. Following the Labour Party's victory in the 1997 general election, the government created regional development agencies. Around a decade later the Labour administration also founded the Regional Improvement and Efficiency Partnerships (RIEPs) with £185m of devolved funding to enhance councils' capacity to improve and take the lead in their own improvement. The Maastricht Treaty encouraged the creation of regional boundaries for selection of members for the Committee of the Regions of the European Union: Wales, Scotland and Northern Ireland had each constituted a region, but England represents such a large proportion of the population of the United Kingdom that further division was thought necessary. The English regions, which initially numbered ten, also replaced the Standard Statistical Regions. Merseyside originally constituted a region in itself, but in 1998 it was merged into the North West England region, creating the nine present-day regions. Since 1999, the nine regions have also been used as England's European Parliament constituencies and as statistical NUTS level 1 regions. Since 1 July 2006, there have also been ten NHS Strategic Health Authorities, each of which corresponds to a region, except for South East England, which is divided into western and eastern parts. 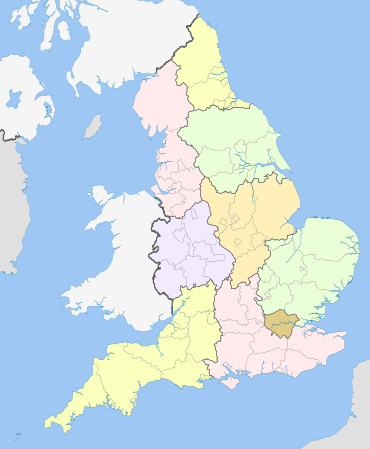 In 1998, regional chambers were created in the eight English regions outside London under the provisions of the Regional Development Agencies Act 1998. The powers of the assemblies were limited, and members were appointed, largely by local authorities, rather than being directly elected. The functions of the English regions were essentially devolved to them from Government departments or were taken over from pre-existing regional bodies, such as regional planning conferences and regional employers' organisations. Each assembly also made proposals for the UK members of the Committee of the Regions, with members drawn from the elected councillors of the local authorities in the region. The final nominations were made by central government. Although they were publicly funded, one of the Regional Assemblies claimed not to be a public authority and therefore not subject to the Freedom of Information Act 2000. As power was to be devolved to Scotland, Northern Ireland and Wales without a counterweight in England, a series of referendums were planned to establish elected regional assemblies in some of the regions. The first was held in London in 1998 and was passed. The London Assembly and Mayor of London of the Greater London Authority were created in 2000. A referendum was held in North East England on 4 November 2004, but the proposal for an elected assembly was rejected. Plans to hold further referendums in other regions were first postponed and then cancelled. A campaign for the establishment of a Cornish assembly, including a petition to the UK government in 2001, was largely ignored and no referendum was held. In 2007, a Treasury Review for new Prime Minister Gordon Brown recommended that greater powers should be given to local authorities and that the Regional Chambers should be phased out of existence by 2010. The same year, nine Regional Ministers were appointed by the incoming Gordon Brown government. Their primary goal was stated as being to improve communication between central government and the regions of England. The assemblies were effectively replaced by smaller local authority leaders' boards between 2008 and 2010, and formally abolished on 31 March 2010, as part of a "Sub-National Review of Economic Development and Regeneration". Most of their functions transferred to the relevant regional development agency and to local authority leaders' boards. In June 2010, the incoming Coalition Government announced its intentions to abolish regional strategies and return spatial planning powers to local government. These plans include the withdrawal of funding to the existing eight Local Authority Leaders' Boards, with their statutory functions also being assumed by local councils. The boards in most cases continue to exist as voluntary associations of council leaders, funded by the local authorities themselves. No appointments as Regional Ministers were made by the incoming UK government in 2010. These changes did not affect the directly elected London Assembly, which was established by separate legislation as part of the Greater London Authority. In 2011, Greater London remains administered by the Greater London Authority, which consists of an elected London Assembly and a separately elected Mayor of London. Following the abolition of the Government Offices in 2011, it was announced that the former Government Office Regions (GOR) would henceforth be known, for the purposes of statistical analysis, simply as Regions. The Nomenclature of Territorial Units for Statistics (NUTS) is a geocode standard for referencing the subdivisions of the United Kingdom of Great Britain and Northern Ireland for statistical purposes. The NUTS code for the UK is UK and there are 12 first level regions within the state. 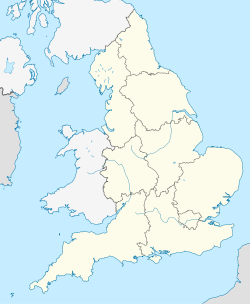 Within the UK, there are 9 such regions in England, together with Scotland, Wales, and Northern Ireland. The standard is developed and regulated by the European Union (EU). The NUTS standard is instrumental in delivering the EU's Structural Funds. A hierarchy of three levels is established by Eurostat. The sub-structure corresponds to administrative divisions within the country. Formerly, the further NUTS divisions (IV and V) existed; these have now been replaced by Local administrative unit (LAU-1 and LAU-2 respectively). In its later years the Labour government adopted the concept of city regions, regions consisting of a metropolitan area and its hinterland or Travel to Work Areas. Two such areas were considered for giving statutory powers: Greater Manchester City Region and Leeds City Region. However, this was later discontinued as a result of the May 2010 general election, although the Conservative–Liberal Democrat coalition government did agree to the creation of the Greater Manchester Combined Authority and West Yorkshire Combined Authority in 2011, with all other proposals and the regional development agencies being subsumed into the local enterprise partnerships. Local government in England does not follow a uniform structure. Therefore, each region is divided into a range of further subdivisions. London is divided into London boroughs and one county while the other regions are divided into metropolitan counties, shire counties and unitary authorities. Counties are further divided into districts and some areas are also parished. Regions are also divided into sub-regions, which usually group socio-economically linked local authorities together. However, the sub-regions have no official status and are little used other than for strategic planning purposes. ^ Local government geography and history, Department for Communities and Local Government. Retrieved 23 November 2016. ^ Regions (Former GORs), Guidance and Methodology, ONS. Retrieved 23 November 2016. ^ Whitehall powers would go to Scotland, Wales and regions, but no full self-government. The Times. 1 November 1973. ^ More freedom for Scots, Welsh in proposals to region regions. The Times. 1 November 1973. ^ Dissenters urge plan for seven assemblies. The Times. 1 November 1973. ^ "United Kingdom Election Results". Election.demon.co.uk. Retrieved 25 August 2015. ^ "Regional Development Agencies Act 1998". Opsi.gov.uk. 1 February 2013. Retrieved 7 February 2013. ^ "South East Regional Assembly: Policy on access to information". Webarchive.nationalarchives.gov.uk. 28 May 2010. Archived from the original on 28 May 2010. Retrieved 7 February 2013. ^ Cornish Constitutional Convention. "Campaign for a Cornish Assembly". Cornishassembly.org. Retrieved 7 February 2013. ^ "In Full: The projects axed or suspended by government". BBC News. 17 June 2010. Retrieved 24 November 2010. ^ "Scrapping regional bureaucracy will save millions – Newsroom – Department for Communities and Local Government". Communities.gov.uk. 17 June 2010. Retrieved 24 November 2010. ^ "1 Horse Guards Road" (PDF). Archived from the original (PDF) on 24 November 2010. Retrieved 24 November 2010. ^ "Regions (Former GORs)". ONS. Retrieved 25 August 2015. ^ "ASHE 1997 to 2014 selected estimates (Excel sheet 408Kb)". Office for National Statistics. Retrieved 17 December 2014.